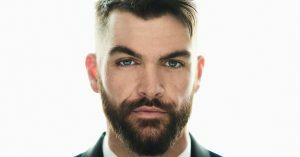 Country music heartthrob, Dylan Scott, is headed to Cincinnati! Check out Dylan Scott, along with Seth Ennis, and his Nothing to Do Town Tour this Thursday Jan 24 at Bogart’s (2621 Vine St. Cincinnati). Doors open at 7 p.m. and the music will begin at 8 p.m. Even in the tide of hopeful young singers rising daily in Music City, Dylan Scott stands out. It takes just a few seconds to hear why: after Scott’s vocal begins on his single “Crazy Over Me,” intimate, even conversational, and then soars on a rush of buoyant emotion, you know something special is underway. Dylan Scott’s respect for traditional country, embrace of multiple modern genres, unique voice and welcoming personality guarantee his success in country music for years to come. Everything that defines Dylan Scott lies in rural northeastern Louisiana, about 15 minutes from Bastrop, the nearest small town. What made Scott different was that his father was often out of town and on the road, playing guitar behind Freddy Fender, Freddie Hart, and other country stars. Young Dylan listened attentively to stories of Dad’s adventures on the road and in Nashville, which took shape in his imagination as a kind of Emerald City beyond the horizon. Purchase your tickets today, online!